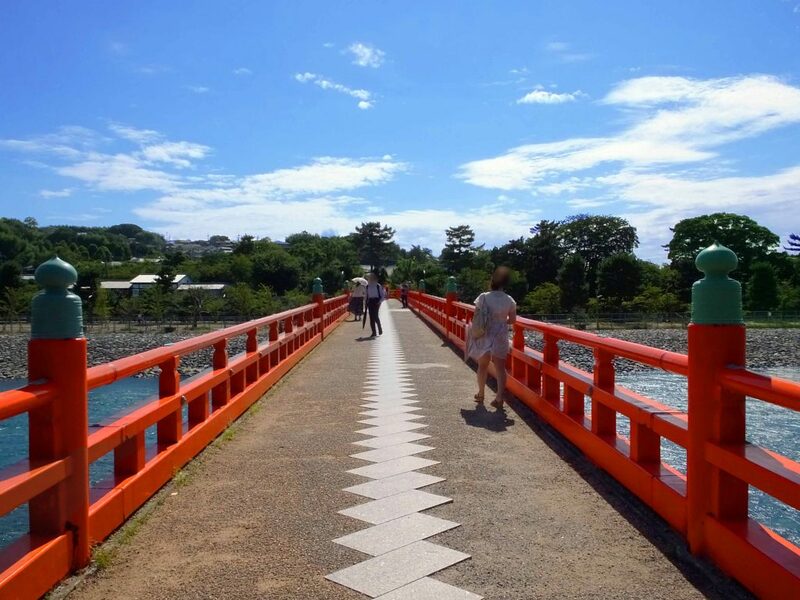 Asagiri Bridge is a vivid colored bridge over Uji River in Kyoto. Today the sun shines bright and the bridge is so beautiful. Walking on the bridge was fun!